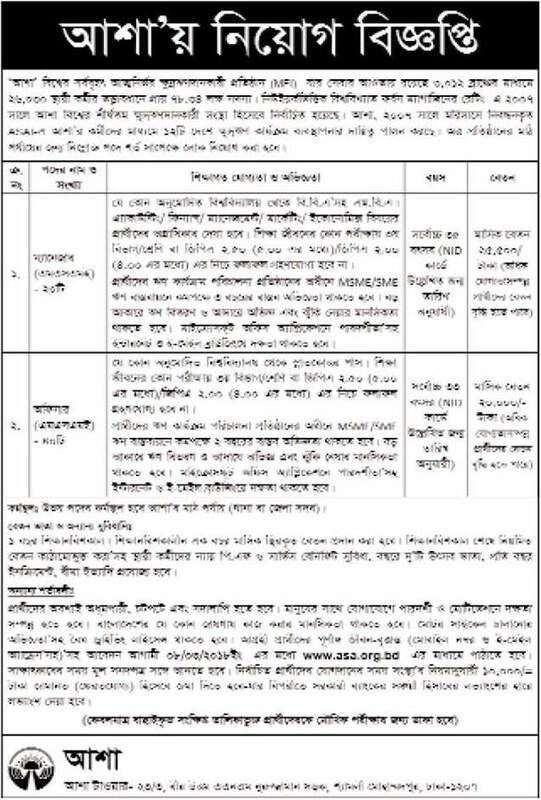 ASA NGO Job Circular 2018 has been published at the official website of www.asa.org.bd. The application will be taken till 20 March 2018. The circular has given below. To apply for the job circular applicants need to go directly at their office and have to drop the CV and other essential requirements. The conditions and all requirements have given with the circular.